Eatyork is now part of the IYORK group, a new mobile app service for York which features Everything in the city, over 1200 establishments in all, in addition to all opening times, contact details, and a range of special offers, menus & free history tours. iYork - everything the city has to offer - every shop, tourist attraction, hotel, restaurant, pub, cafe, offer, all in one place - on your phone! A completely comprehensive database of everything in the city, together with a powerful search engine, our phone app is an essential tool for visitors, locals and students. Our exclusive and FREE mobile application will allow you to keep the entire city in your back pocket, superfast (no connectivity required), easy to use , fully functional offline and 100% FREE! Find places near to you, opening times, features, offers, food, heritage tours, all at the touch of a button whilst you're out and about. eatyork.com is your guide for food and restaurants and places to eat in York, UK. With a range of features including upto date opening information, food and special offers, eatyork is a portal for everything related to Dining in York, UK. 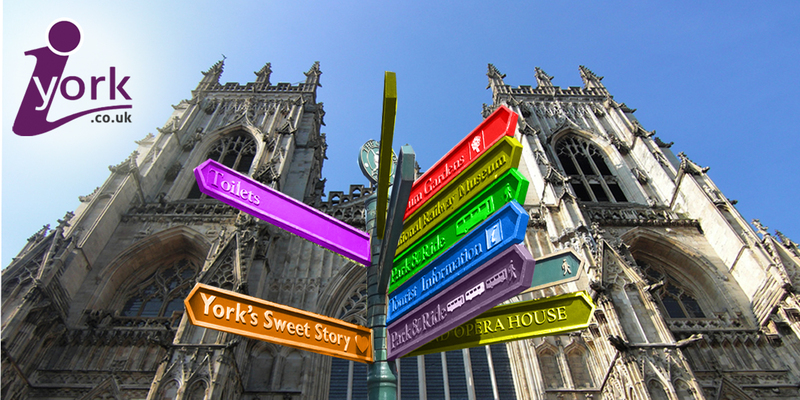 In addition to restaurants themselves in York , you can search for restaurants, pubs, takeaways, menus and special offers to find your perfect place to eat. If you are looking for restaurants in York, eatyork is for you! With a range of restaurants in York, with everything from fine dining restaurants to great value restaurants in York and other restaurants around York, it is the only site which stores all menus, special offers and opening times for every restaurant in an easily searchable format. Are you Vegetarian? Vegan? Do you follow a gluten free diet, prefer organic produce or locally sourced ingredients? eatyork is here to help you! We champion places to eat that pride themselves on locally sourced, freshly prepared ingredients, with a range of dishes to suit all dietary requirements.